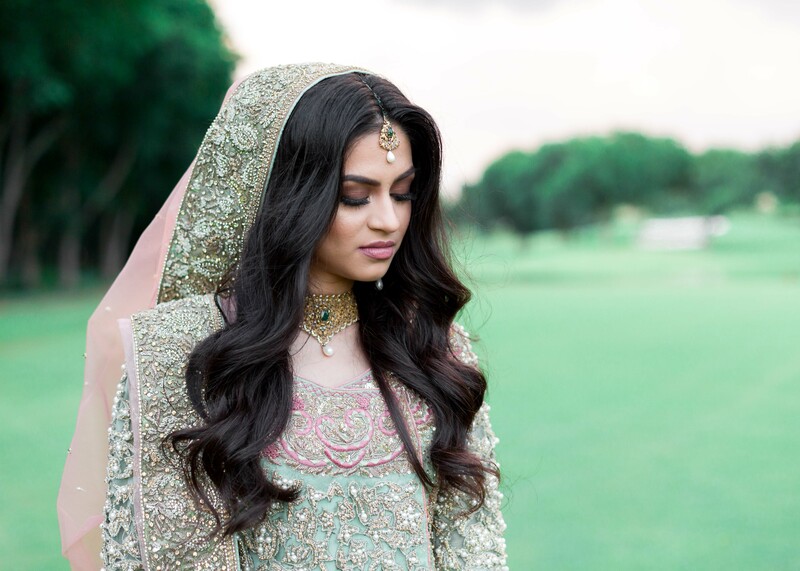 It’s the third and final day of this beautiful Pakistani wedding, the Valima! 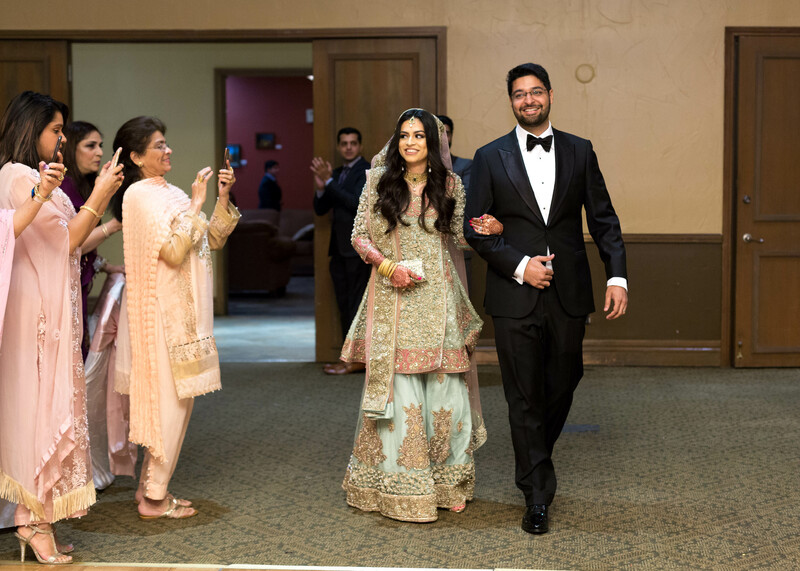 This night is all about partying and celebrating the new couple, like a big reception party. 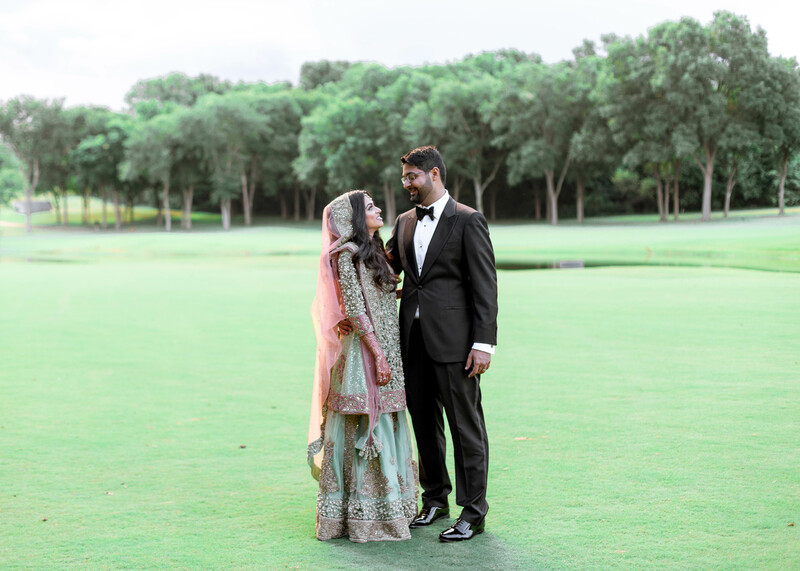 We got started pretty late and there was a huge thunderstorm rolling in as we took portraits so we just barely made it back to the El Dorado Country Club as it started to rain. 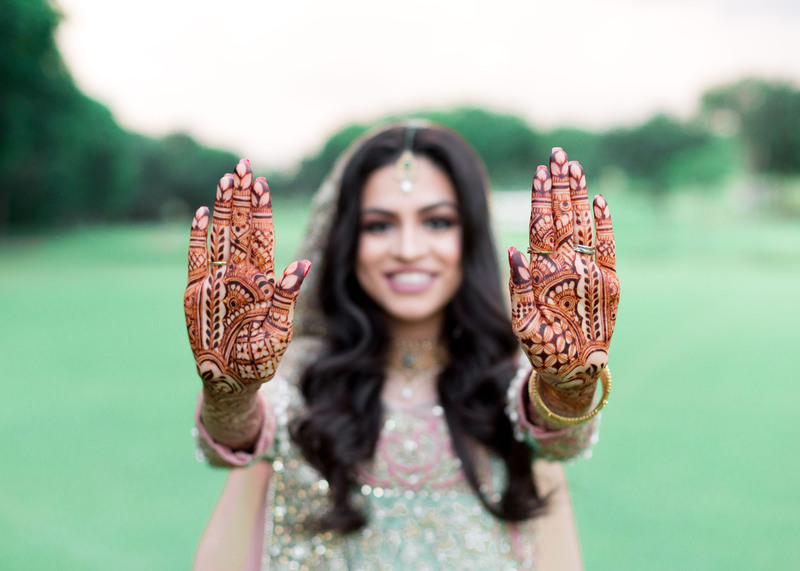 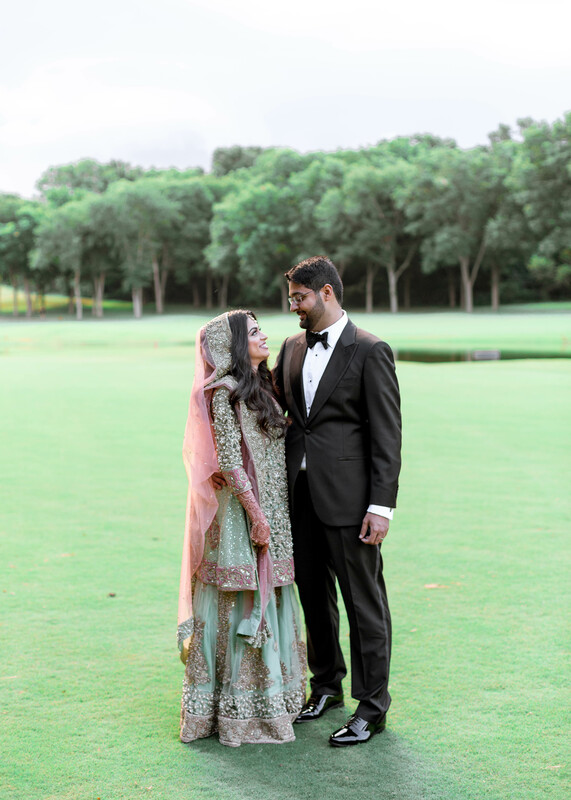 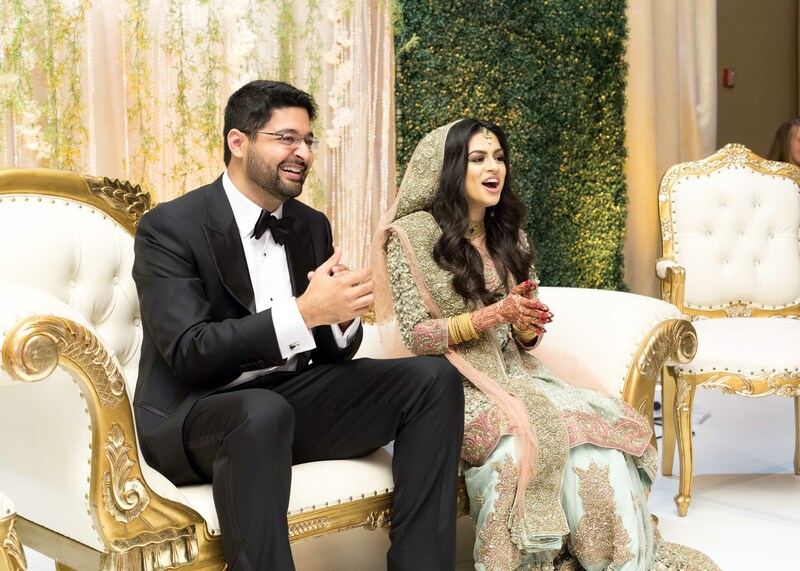 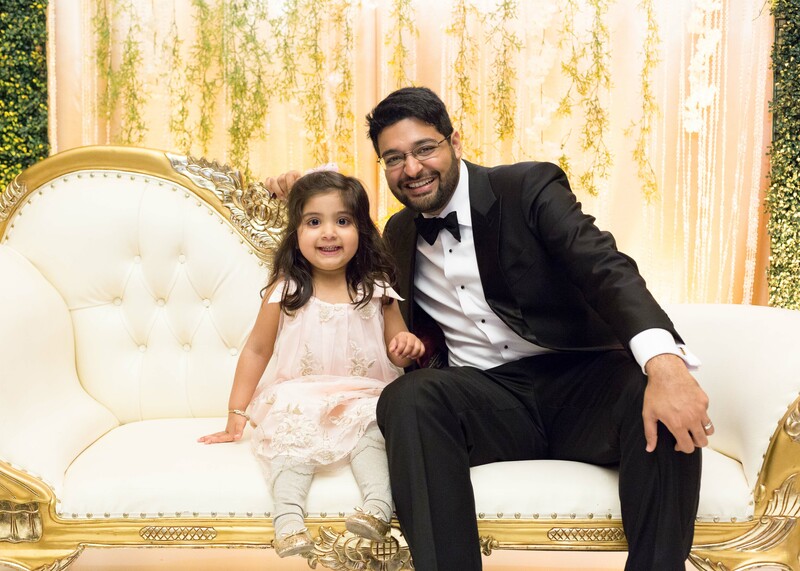 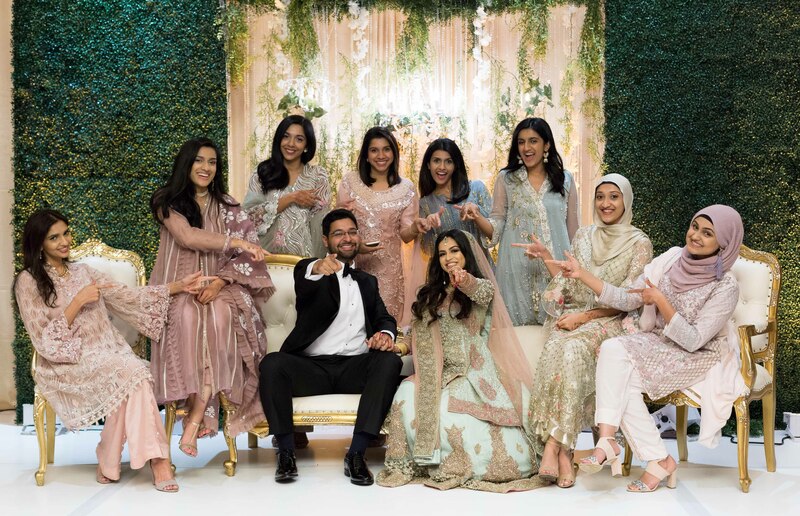 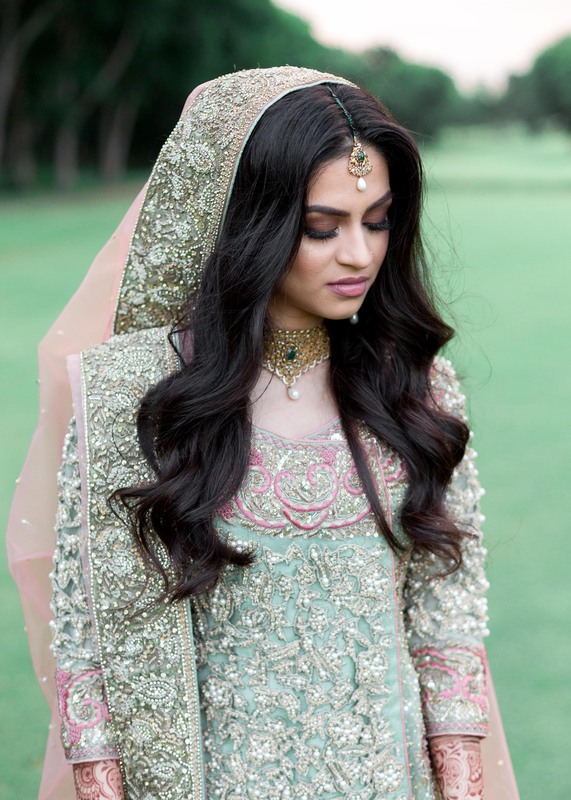 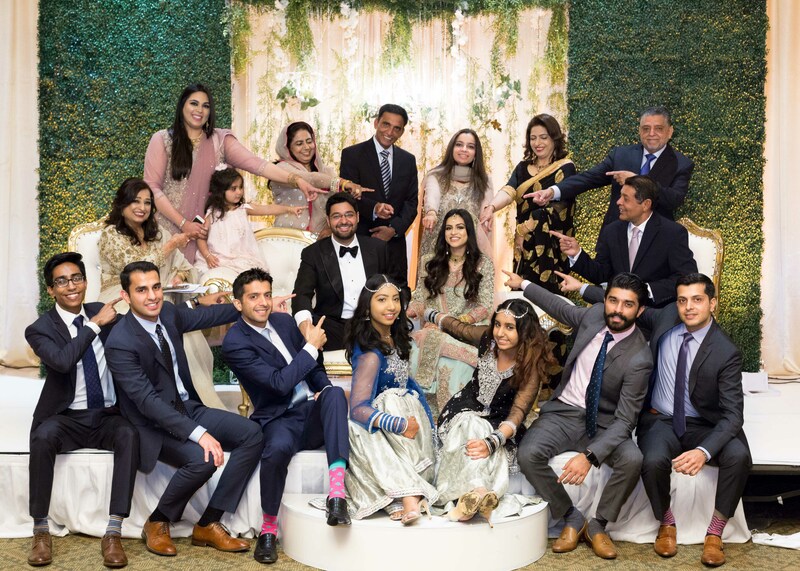 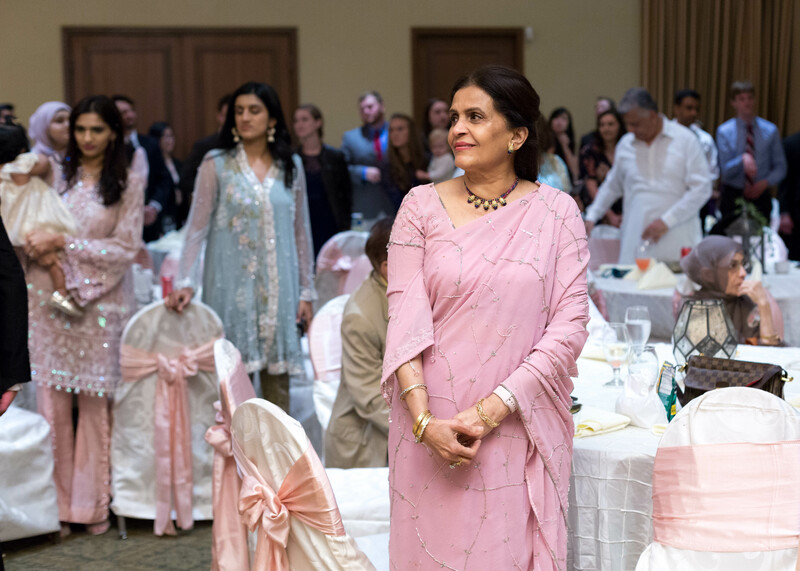 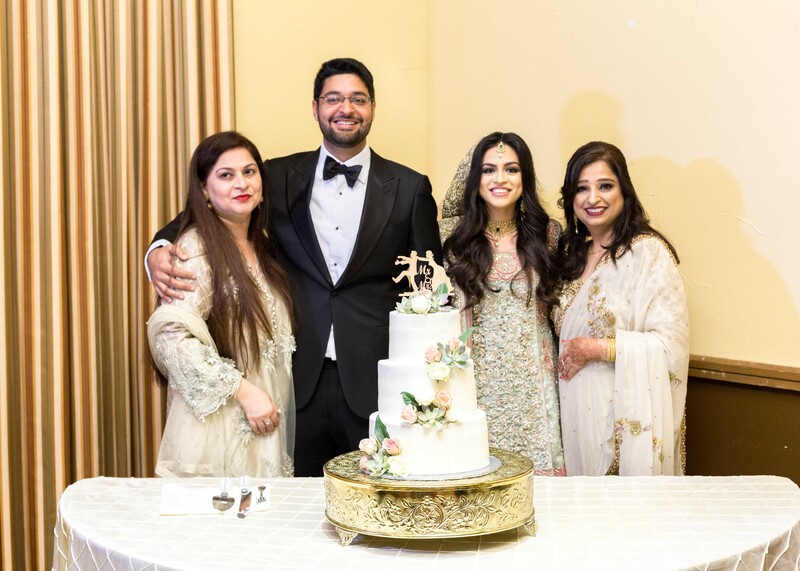 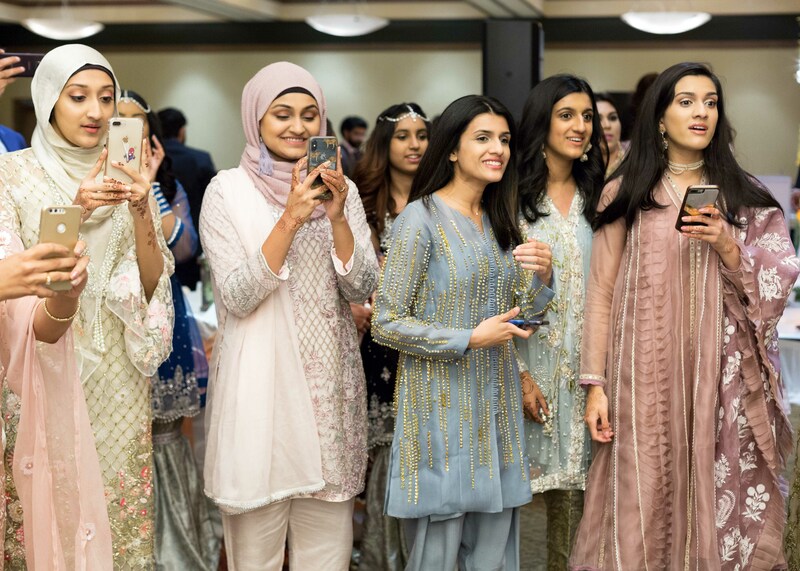 Sanan opted for a classic black and white tuxedo and Annaa wore a gorgeous turquoise and pink gharara that she received as a gift from Sanan’s family for the wedding. 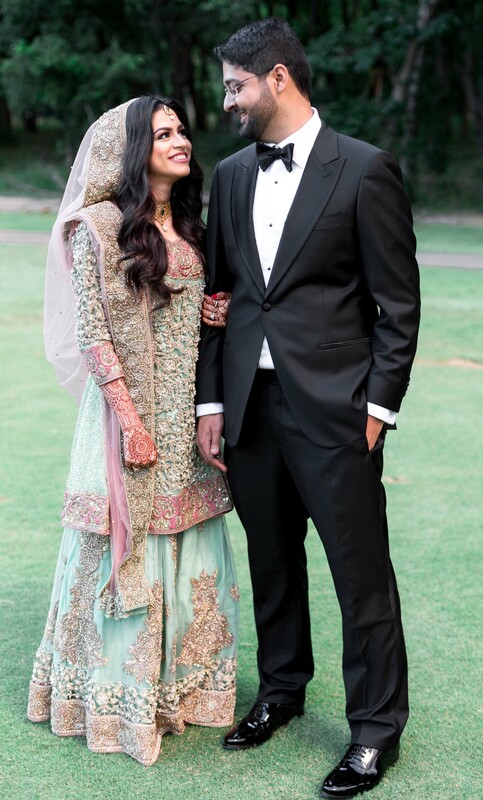 I love their completely classic look – he reminded me of old Hollywood and she looked just like a Disney princess! 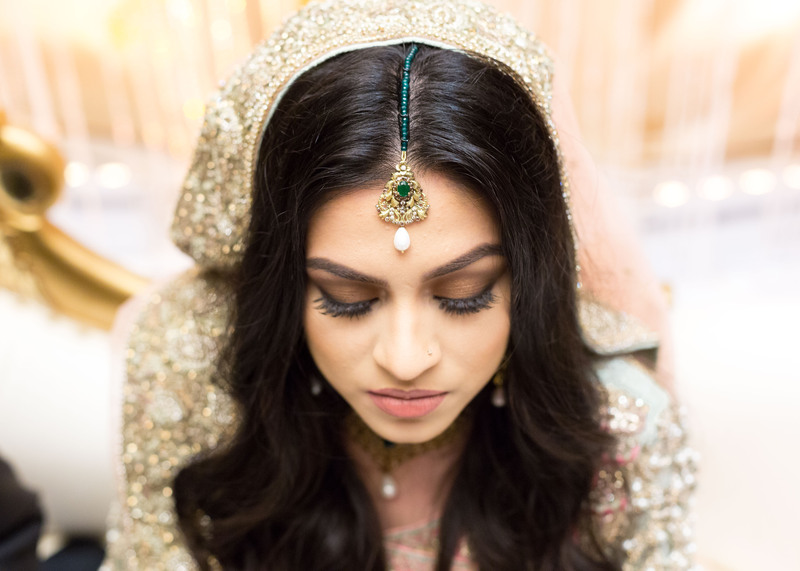 Her gorgeous makeup and hair were subtle and soft, making her glow with that just married kind of happiness. 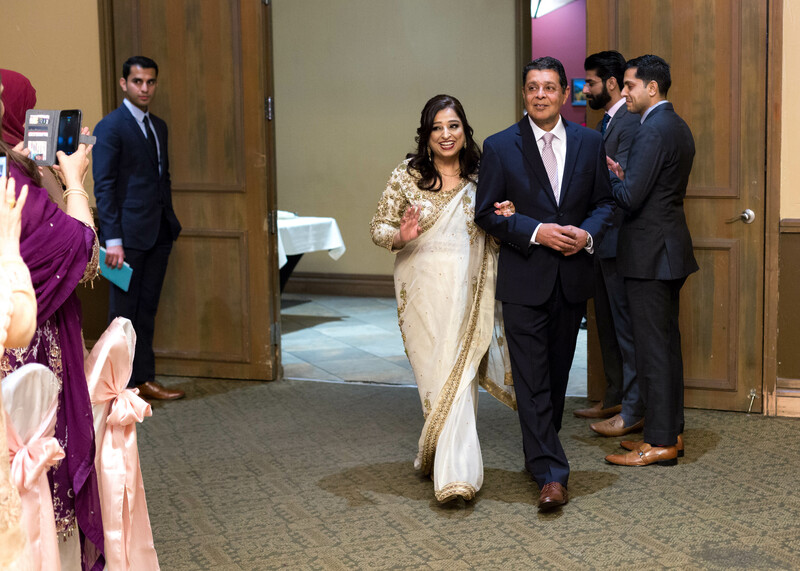 The family of the bride enters without her for the first time, followed by the groom’s parents. 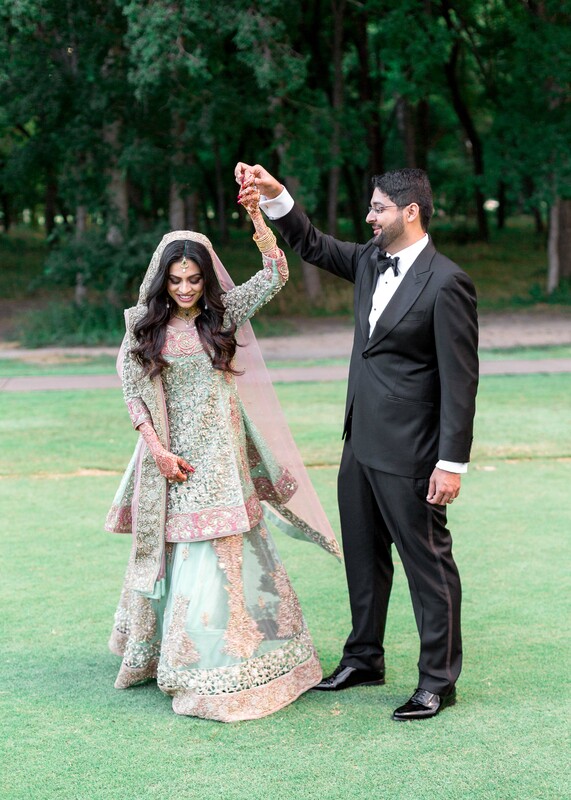 This is such a huge moment for the bride and groom because they are now officially married and entering for the first time as husband and wife! 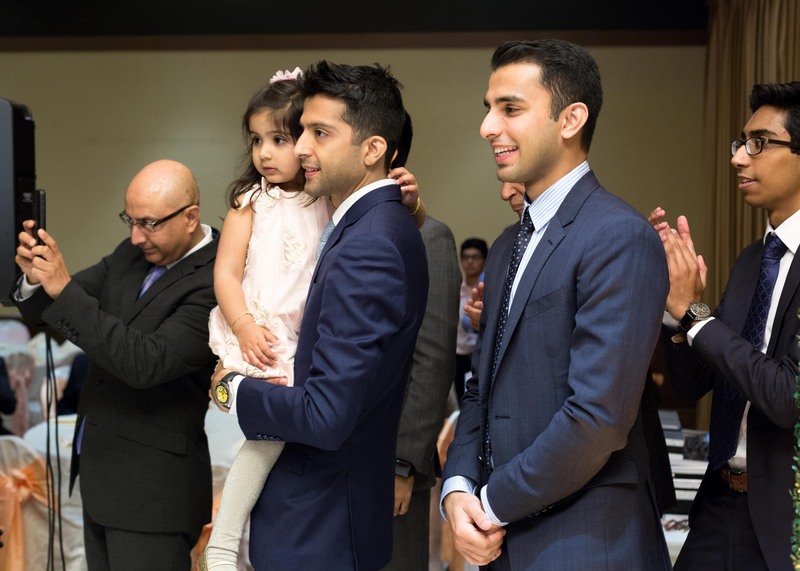 Once on stage there were some gift exchanges and and portraits before the cake cutting. 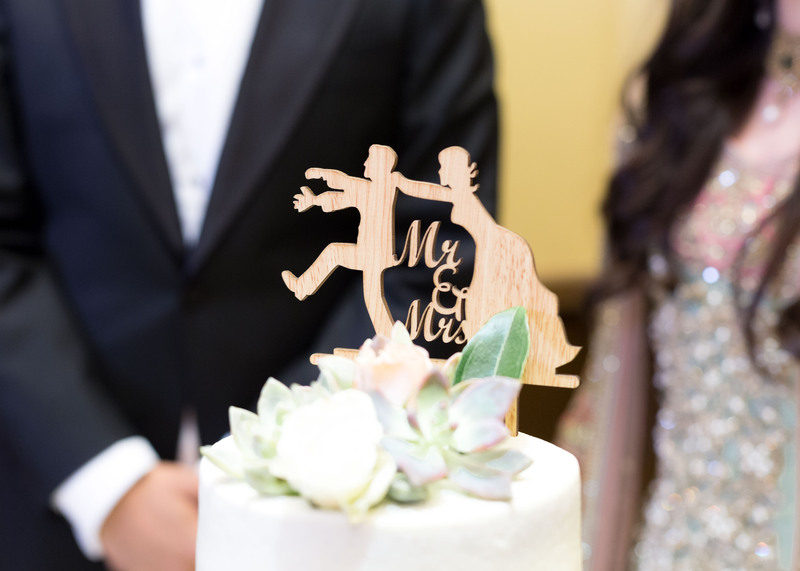 Isn’t their cake topper the cutest? 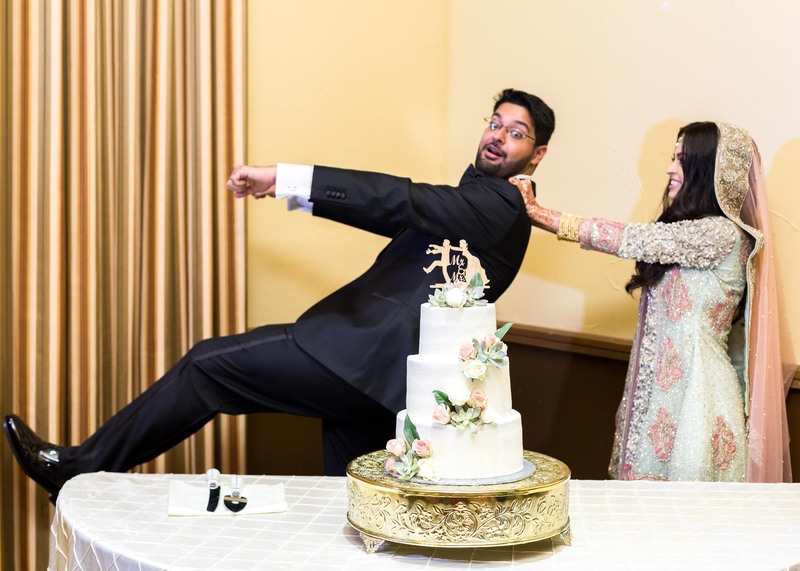 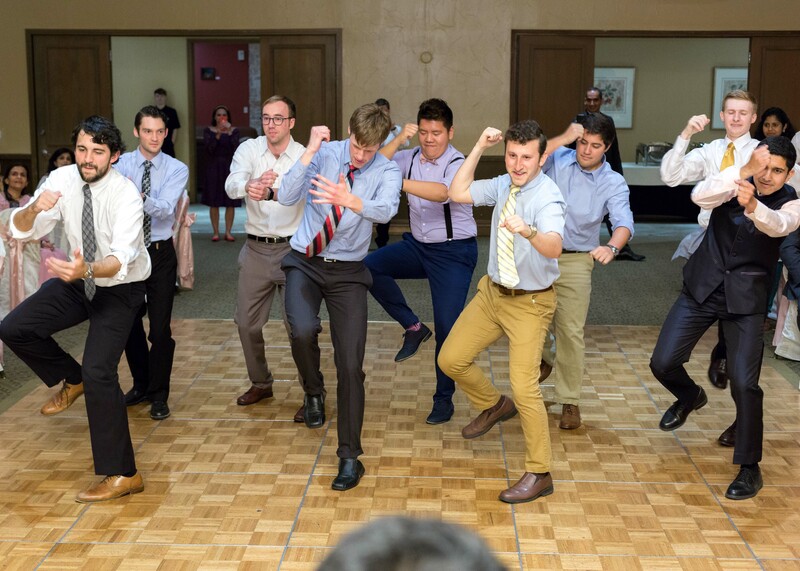 And they reenacted it which was even funnier! 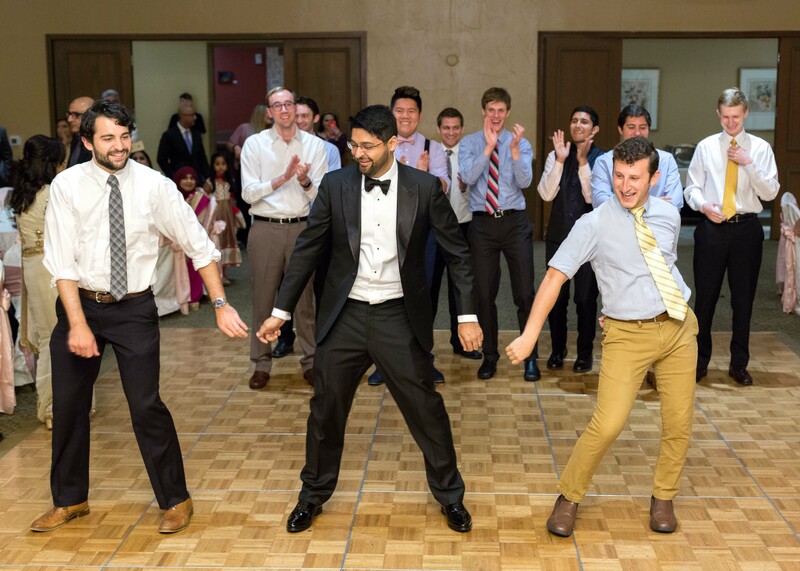 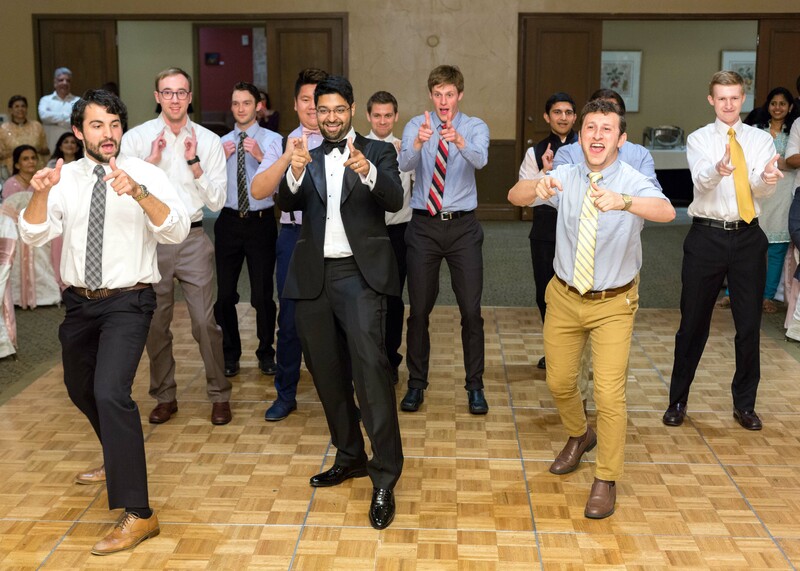 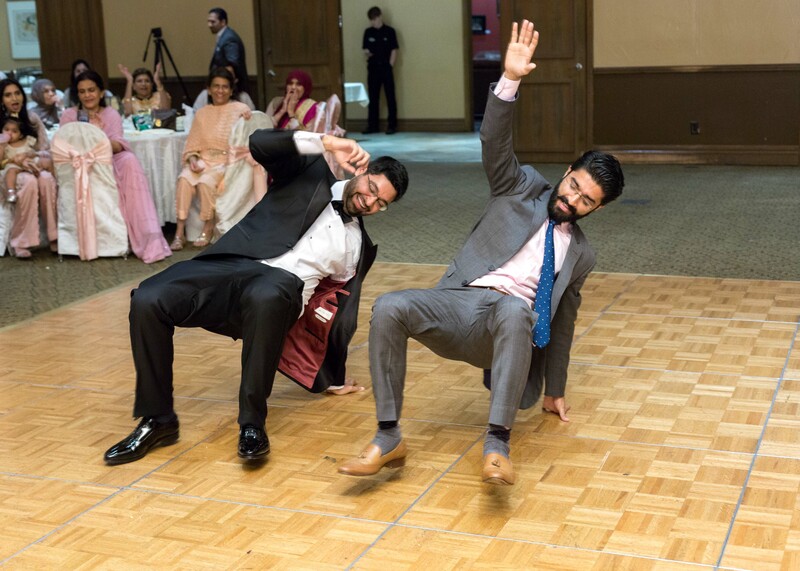 The desi boys had such a great performance on the Mehendi night that the families demanded an encore during the Valima. 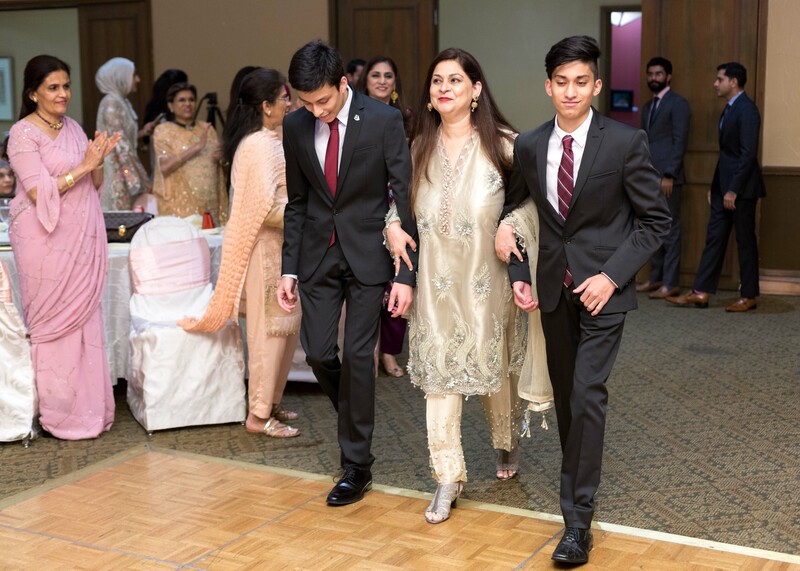 Of course, they were dressed in a bit more western clothing this evening which made it a little hard for Sanan to keep up with the rest of them! 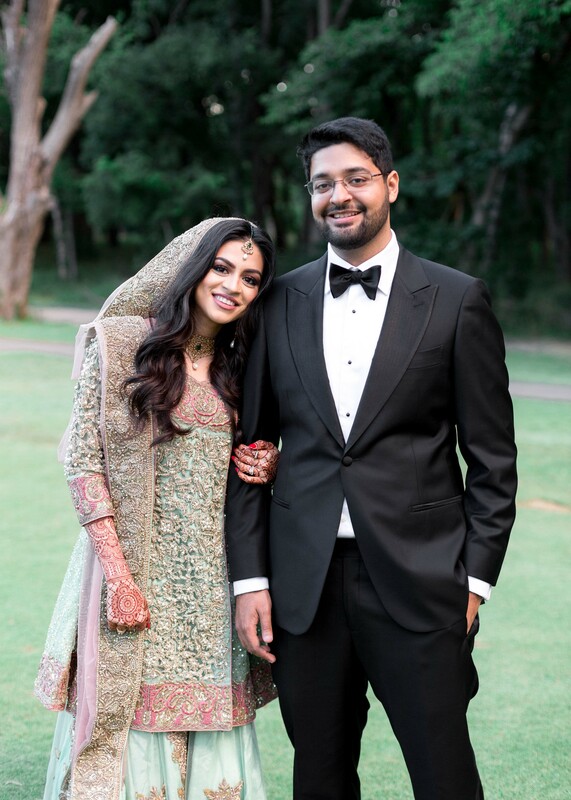 The bride and grooms portraits for the Valima were taken on a magical backdrop that had boxwood greenery and subtle fairy lights behind a tulle curtain. 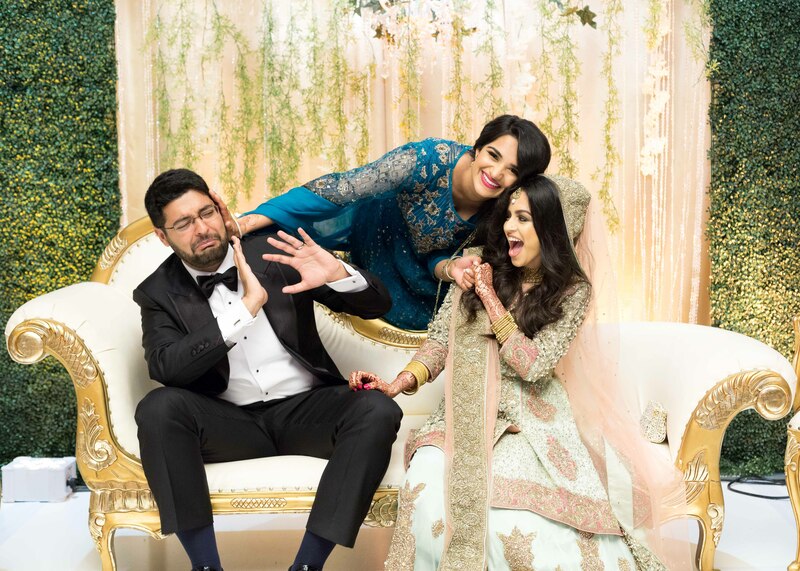 My favorite is the portrait of the newlyweds with the maid of honor and best friend to the bride. 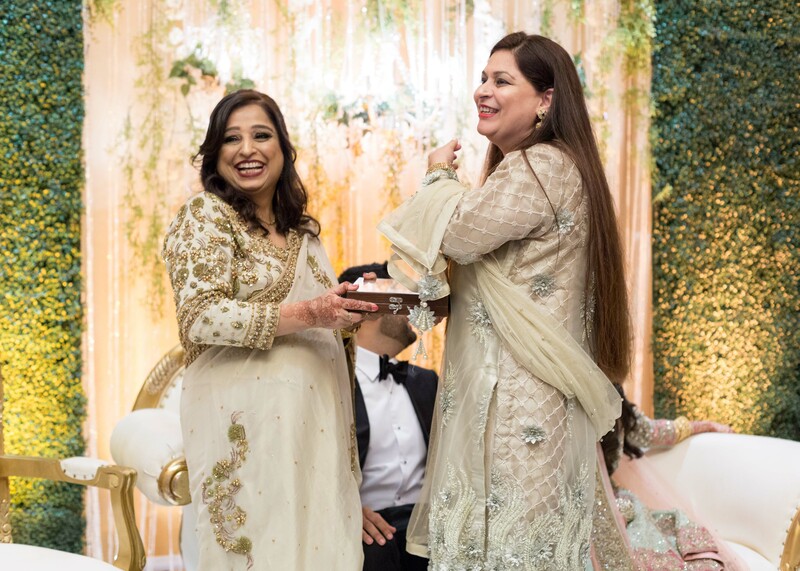 She was seriously the sweetest thing ever and she told Sanan that she was a package deal with the bride and he couldn’t have Annaa without her! 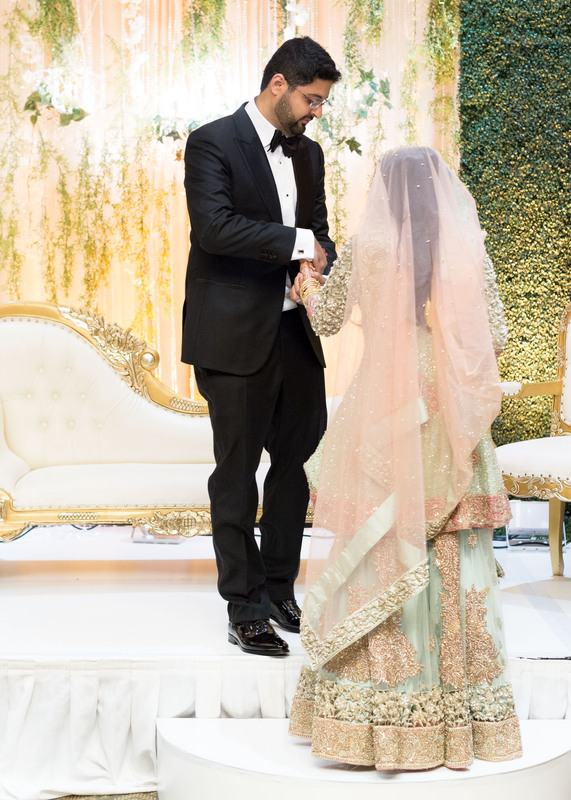 The Valima was the third and final night in this traditional Pakistani wedding. 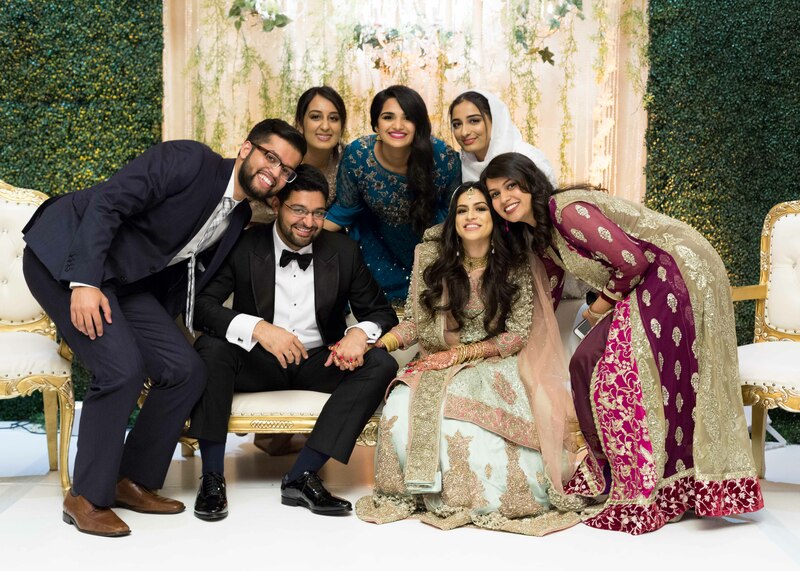 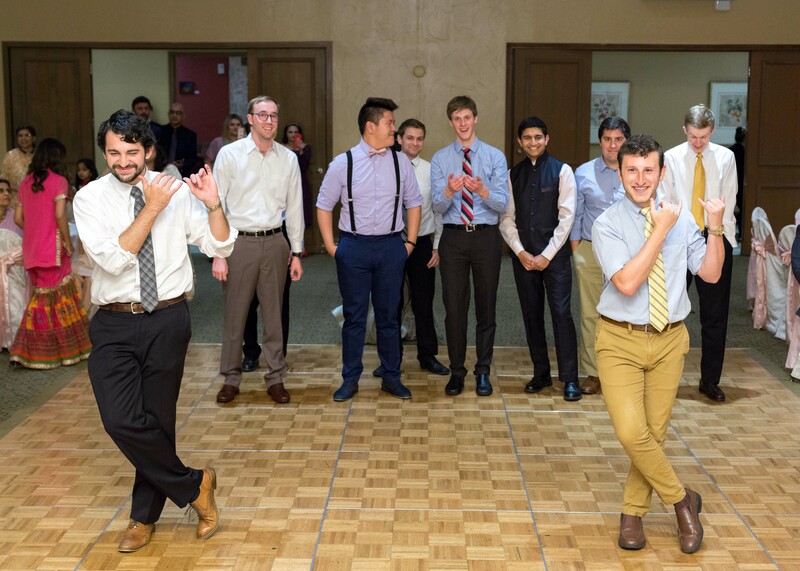 This is the reception/party night following the Mehendi night the wedding day Baraat and Shaadi on Saturday. 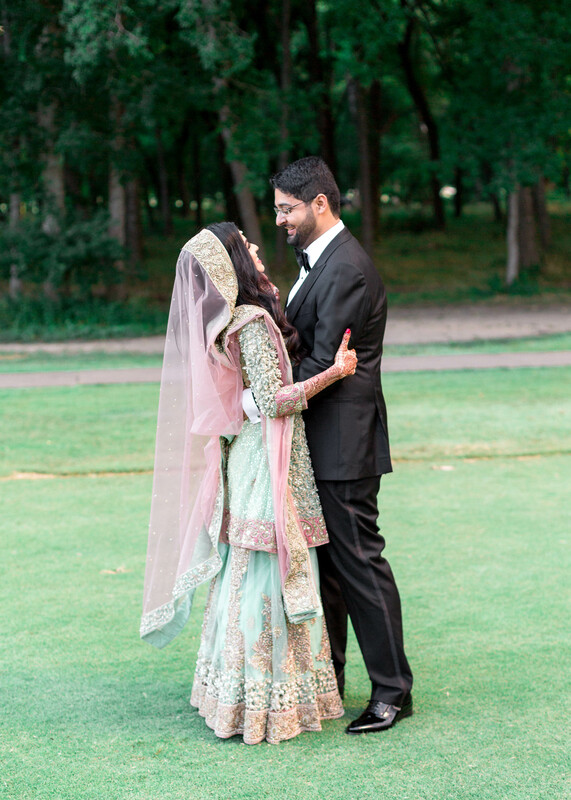 This wedding was featured in Maharani Weddings. 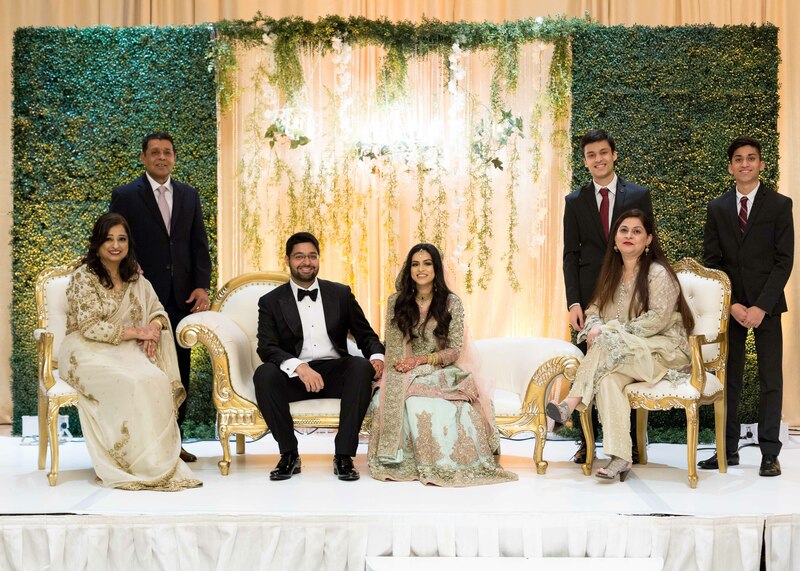 Special thanks to the rest of the vendors that made this beautiful event happen!